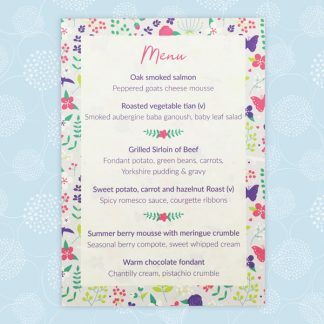 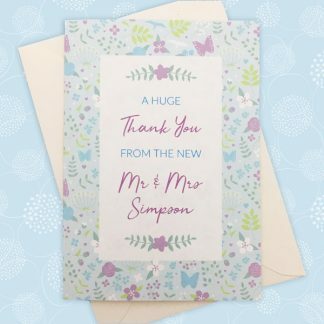 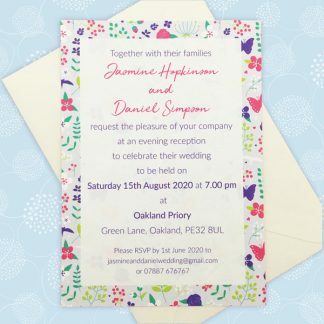 The Merry Meadow Flowers wedding stationery design features pretty floral stems in a repeat pattern. 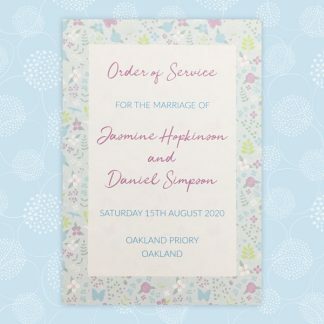 This flower design is available in bright and pastel colour schemes. 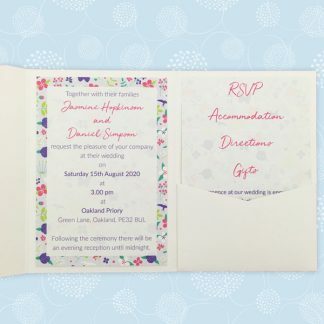 Bright has cerise and purple stems on a lilac background. 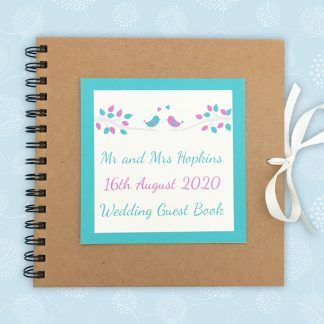 The pastel colour scheme features dusky pink and duck egg flowers on a pale blue background. 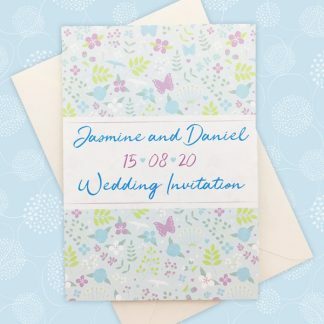 Merry Meadow Flowers has three wedding invitation styles – concertina, pocketfold and postcard size. 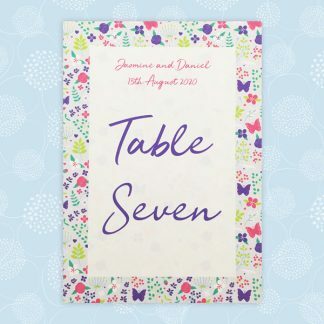 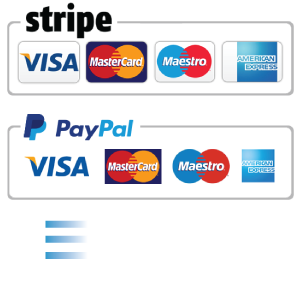 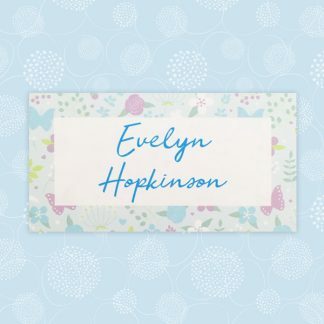 There is also a range of co-ordinating on the day stationery to complement your invitations.